Stuart, FL – Forest Hills Community Outreach offers a FREE workshop series for anyone affected by loss of a loved one. The Healing Path Workshops take place on certain Thursdays at 3:00 pm at Indian River State College-Chastain Campus, 2400 SE Salerno Road-Rm #C125 in Stuart 34997. A new series begins on Thursday, February 22. This unique 8-week long workshop series is open to anyone affected by loss of a loved one. Each hour-long workshop includes a different topic of interest and a different speaker; all workshops are focused on ‘practical next steps in the healing journey.’ The series concludes with a healthy eating workshop presented by a local nutritionist. 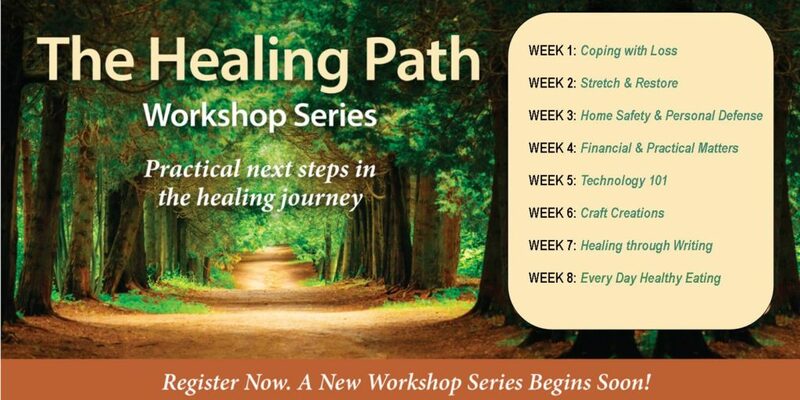 The Healing Path Workshops are provided free of charge and open to. Participants are welcome to bring a friend or family member. Register by calling Community Outreach Coordinator, Karina Danessi at (772) 287-8484.